A strict diet may not be necessary for you. Living a more anti-inflammatory lifestyle can – over time – improve your body composition, your skin’s appearance, and your overall health. Depending on your unique situation, enhancing your health may be as easy as making a few, key lifestyle and food choices – and perhaps changing how you think about food, to begin with. 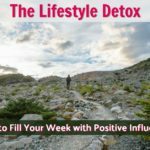 Below, I share small improvements that you can make to begin living an anti-inflammatory lifestyle today. Some of the strategies are specific and practical – such as substituting healthier food choices in place of inflammatory snacks. Other strategies are more philosophical in nature and involve shifting a previously held attitude into a new outlook. This is because our beliefs form the foundation of our daily lives, and evolving them can make improving habits much easier. We underestimate the extent to which we are influenced by our culture. As children, we absorb secret messages from our environment about what is normal. These messages come from our families of origin, the geography, television and other media – and society at large. Most of these messages hit our brains on an unconscious level (children’s brains, especially, are like dry sponges – what they are exposed to, they soak-up). If we are raised in a culture in which cold cereal or toast is standard breakfast fare, then for the rest of our lives any other ideas about breakfast will seem like an eccentric, strict diet. And when we do entertain other ways of eating, we will see ourselves as being magnanimous and open-minded – even if, biologically, the “eccentric” way is more compatible and beneficial to the human body. Upgrading lifestyle habits is a difficult process. The older we get, the harder the process becomes. We’re always bumping up against those pesky childhood associations of what is normal. 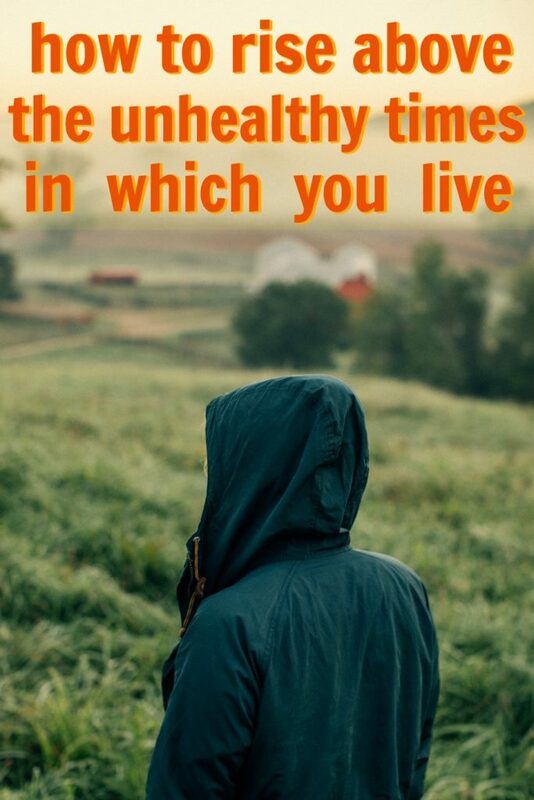 Decide that you want to move past cultural associations and begin living in a way that supports your body, psyche, and soul – whether or not it jibes with cultural norms. As long as you’re living in integrity and kindness, it’s nobody’s business what you eat – even if it seems like a strict diet to others. For that matter, how you choose to organize your time and energy as an adult is completely up to you. Action Step: for the remainder of today, I invite you to notice which of the daily habits and automatic behaviors you engage in are inspired by what truly serves you (or, which is the standard operating procedure in our culture). While the medical community focuses on miracle breakthroughs that will allow future generations to live well beyond 100, we can make positive changes in our own lives now that will lengthen the number of years in which we can remain cheerful, alert, and vigorous. It’s particularly helpful when you can repeat a new, healthier choice long enough for it to turn into an actual habit – so that it’s a part of your brain’s wiring and your body’s muscle memory. You likely have more freedom than you realize. Ailments are sometimes blamed on bad genes or a family history of short lifespans, and while some traits are certainly hereditary, it’s often our lifestyle habits that decide when bad genes are turned-on. Medical doctor and researcher Dr. Terry Wahls has determined that today’s standard American diet activates 65 genes that increase inflammation, whereas the Wahls Paleo Diet turns on 72 genes that decrease inflammation. The danger in believing that lifespans are hereditary or culturally predetermined is that it can cause people to give up on attaining optimal health. Through better habits and healthier food choices, people can reverse their fortune. 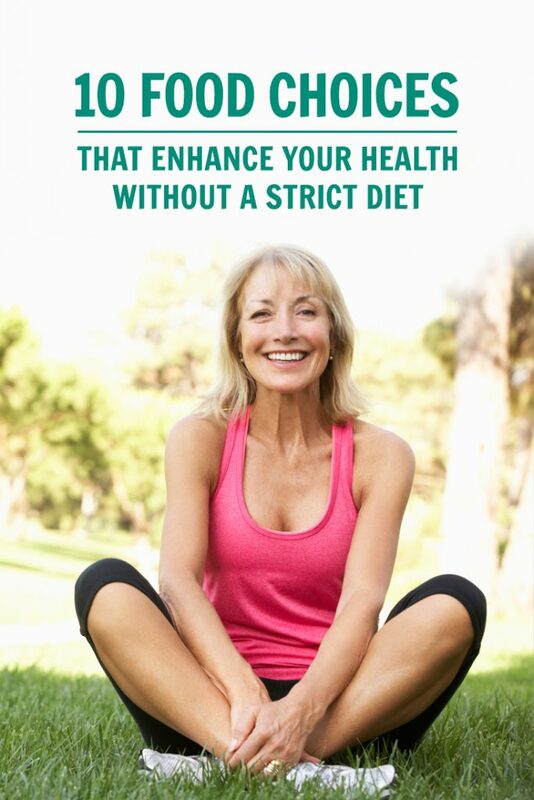 It doesn’t even have to require a strict diet (in fact, a helpful aspect to Dr. Wahls’ protocol is that it provides three different levels of eating – beginning, intermediate, and advanced – depending on one’s goals and current health challenges). If you take nothing else from this article, take this with you: one of the best things you can do for your health, ever, is to remove refined sugar from your daily diet. Freeing yourself from a sugar addiction can be among the eating hacks that will most transform your life. However, there are still beneficial ways to enjoy a sweet snack. You can replace refined sugar with modest amounts of stevia – a sweetener extracted from the leaves of a plant without any carbohydrates or artificial chemicals. If I could go back in time and change only one nutritional habit, it would be to have never consumed so much sugar. Stevia was a helpful tool for me in kicking the sugar habit; however, it takes a bit of experimenting to figure out how to use stevia in the exact way your taste buds will most appreciate. If you use too much stevia powder or liquid, it will add a peculiar aftertaste to your food. The trick is to use just enough (a little usually goes a long way). It will help you to remember that all carbs eventually become sugar in the body – though, at least vegetables are a complex carbohydrate that can sustain energy. Even fruit, which is good for you in small intermittent doses, can be damaging if it’s ingested relentlessly enough. However, if you are someone for whom improved health is becoming a top priority, then I invite you to sign up for my free updates. Simple carbohydrates are like crack. They are addictive and can wreak havoc on the body as we age – especially when consumed in excess. I just had my annual physical exam and my medical doctor reports that my bone health is now excellent. However, a year ago this was not the case. I had been working out regularly – doing Olympic lifting, sprints, and cross-functional fitness exercises – and my body was starting to look and feel better than it ever had before; but then, suddenly, I started to have bone issues. I began developing little spurs and other injuries from my high-impact activities. I visited a naturopath in an effort to pinpoint what might be missing in my diet. My blood and urine lab tests revealed that the calcium supplement I had been taking was not getting the job done. Doctors and nutritionists are now beginning to discuss the difference in the quality of calcium supplements. Some calcium supplements are rock-based, and there is a vast difference in the quality of those supplements, I discovered. I also learned that calcium supplementation is one of those nutritional areas where it’s wisest to obtain the best you can afford. A year later, my bones are strong and I’m having great workouts again. After that previous experience with injuries and lack of calcium absorption, I became intrigued by how the skeletal system functions optimally and am now much more conscious about improving my bone health. Improving the health of our bones can subsequently improve the health of our entire bodies. Depending on how active you are and your average daily diet, you might be getting all the calcium you need from the food that you eat. On the other hand, you might not. Ask your medical doctor, and remember that there is a vast difference in the quality of calcium supplements. Consider focusing on those calcium supplements derived from whole foods. Twice a year I find it beneficial to track my calories for a typical day of eating. In tracking your caloric intake, you might find that – instead of a strict diet – you simply need to remove approximately 250 calories from your average day. Strategic food choices can make removing 250 calories per day practically painless. When we consume more food energy than our bodies need they get stored in our fat cells, making them bigger. When we consume fewer calories than our bodies burn for that day, then that stored energy within the fat cells is used and the cells become smaller. When you’re meticulous about checking how many daily calories you want – versus, how many calories you actually eat – you are often surprised to discover that you were a bit off in your assessment. Using a calorie calculator, you can easily figure out how many calories you want to consume each day – based on your age, gender, average activity level, and personal goals. When using these online calculators, remember – when it comes to guessing your typical activity level – strive for brutal honesty. “Very active” means you exercise regularly, and that your work and hobbies are also physically active. Unless you’re a carpenter who trains for triathlons during off-work hours (or something along similar lines) then you probably don’t want to check the “very-active” box. In other words, we tend to underestimate how sedentary we are. If your calorie consumption stays at, or under, the losing number, it means you lost body fat that day. If your consumption stays at or under the maintaining number, it means you didn’t add any fat that day. Armed with those numbers, you can now write down everything you eat on a typical day. Everything. Afterward, you can figure out how many calories that adds up to. Finally, you can then freshly craft an ideal day of things to eat, that keep you within your target numbers. As you undergo this process, I encourage you to keep your sense of humor about it. All you are really doing with this exercise is giving yourself realistic information so that you can make better choices based on what you want for yourself. If your attitude becomes too rigid or self-shaming, you risk activating the inner-rebel. So keep it light and try to have a bit of nerdy fun with it. Not only do the amount of calories count, but so does quality. I invite you to keep those calorie choices as anti-inflammatory as possible. Another benefit to tracking your calories periodically is that whenever you consult with a health professional – your medical doctor, nutritionist or naturopath – you can bring along your tracking sheet and show them what you really eat on a typical day. This, in turn, assists them in making the best decisions on your behalf. I believe that when my overall health improves, so does my metabolism. When my metabolism is regulating more efficiently, my body fat stays lower. Dane earned a masters degree in Counseling Depth Psychology from Pacific Graduate Institute. His past professional adventures include being a Therapist and Discharge Planner at a Dual-Diagnosis Hospital Inpatient Treatment Program, Digital Marketing Director for a real estate brokerage and decades spent as a professional fitness and Pilates trainer. Today, Dane is a Healthy-Lifestyle Advocate and curates the Quality of Life Newsletter – a weekly update for creative types who want to increase their daily joy. Coffee is a fascinating beverage – it can be good for you or bad for you, depending on how you use it. The caffeine in coffee can interfere with important sleep cycles. The importance of the human body to receive a deep and restorative sleep cycle each night cannot be overestimated. Coffee is potentially addictive. If you drink enough of it for many days in a row, then one day you will wake up and no longer merely want it, but rather, you’ll need it in order to function. Stranger still, if you’ve had daily coffee for many weeks in a row and then one day you decide to skip it, you’ll probably notice that you get a headache and have withdrawal symptoms. An easy way to tell if you’re addicted to coffee – or anything else – is to ask yourself: can I imagine my life without it? When you can’t even picture your morning without coffee or remember what your morning ritual was before coffee came along, then you’re very possibly addicted to the substance. Coffee is acidic, and generally, it’s helpful to keep your body’s pH balanced toward alkalinity. Some health experts believe that when the chemistry of your body lives habitually in an acidic state, it can contribute to health problems. Coffee can overstimulate delicately balanced systems because it’s so stimulating. Some health experts believe that too much habitual, daily use of caffeine can ultimately have a negative impact on the small adrenal glands of the human body – basically over-stimulating them into eventual exhaustion. Drinking coffee can be fattening. While coffee itself is 98.5% water and only has about 5 calories per cup, the fact remains that many people no longer drink their coffee black like in the old days. Specialty coffee drinks are increasingly popular and they are loaded with calories. For example, a Starbucks large mocha cookie-crumble “frap with extras” might contain over half of your day’s allotted calories. I used to have several cups of caffeinated coffee every morning, but ultimately I decided that getting that huge jolt of caffeine in the morning, for 365 mornings in a row, might not be the healthiest thing for my body. Today, I prefer Swiss Water Decaffeinated (the caffeine is removed from the coffee bean without harsh synthetic chemicals, and the coffee has a mellow, woodsy flavor that I enjoy. I ease into my day more gently with black, ginger, nettle or green teas. But if giving up all caffeine seems like an overly strict diet to you, try reducing caffeine instead – to one small cup of coffee per day. Dr. Andrew Weil has asserted many times that stress is a primary factor in aging. If you want to feel better and look better in your day-to-day life, you must keep your stress levels as low as possible (consistent, low-level stress is a true ager to the human body). You can melt the tension from your face and decrease your body’s cortisol levels – the stress hormone responsible for accelerated aging – by doing five minutes of simple, conscious breathing each day. Now, repeat the above 4 times in a row. An anti-inflammatory lifestyle is a way of living that intends to reduce exposure to irritants in one’s diet and environment. When you begin to understand that inflammation and glycation are two of the primary causes of accelerated aging, it can inspire you to reconsider the role of food in your daily life and to consider an anti-inflammatory lifestyle. Inflammation occurs when your body grows tired of habitually having to process things it would rather not process, and glycation is when your body begins to imperfectly regulate the relentless amount of sugar it is exposed to, causing oxidative damage. The first step is to develop a genuine curiosity about which foods are harming and which foods are healing to the unique chemistry of your own body. Trends come and go in the world of gourmet food. Almost every magazine on the shelves was extolling the virtues of a high-pasta diet (that seems so funny now, but it really was the case back then). A decade later, high-protein was all the rage. Carbs were considered a necessary evil, best indulged in the smallest amounts possible. Which brings us to today, a time in which diets are more balanced but no less extreme. What’s in style now are food regimens that are more primal, emphasizing more fresh fare like our ancestors ate, and less “conveyor belt” foods from the industrial age. Among the currently popular lifestyle diets are Paleo and Raw Food. It might seem that these diets are complete opposites, since Paleo is heavy on meat, while Raw Food is often considered a vegan undertaking. However, these two diets actually have meal plans with much in common. Namely, they emphasize the virtues of vegetables. The raw food regimen is not a weight loss diet. Yes, one usually drops a great deal of body fat when eating an all-raw diet, but the primary purpose of raw food is to improve health and vitality (the fat loss is just an added perk). Technically, the raw food regimen is a way of eating that emphasizes plants and that limits food choices to those that are uncooked – or at least not exposed to temperatures of over 104° F (or 40° C). There has been talking among some nutritionists lately that – while most vegetables are better raw – there are a few vegetables that might have a broader nutritional spectrum when slightly cooked. Raw foodists believe that many beneficial enzymes and nutrients found in fresh produce are lessened when cooked at high temperatures. There is no one way to follow a raw food diet. Some raw-fooders are fully committed and do 100% raw, believing that all plant-based foods are healthier – with their complete enzymes intact – uncooked. Other health enthusiasts believe that a 100% all-raw food intake is an unnecessarily strict diet, and instead opt to make mostly (not all) raw food choices. They typically aim for a 70% intake. there are even raw-fooders who drink red wine! Consider making super salads for dinner on most nights. Include your favorite vegetables and lettuces, but also try varieties you’ve never before considered. Top off with microgreens (such as sunflower sprouts) and raw, sprouted nuts and seeds. Often, our bodies will give us the information we need to make good choices if only we will listen. If you have a sensitivity (or an allergy) to any particular food, your body will often tell you. Did your energy drop, or go up, after you ate? Remember to give your body time to acclimate to the increase in fiber. Depending on how optimized your intestinal flora is already – with good probiotics and such – your body may take a bit of time to get used to the uptake of fiber in your daily diet. Your stomach may grumble a bit at first. As you get healthier, however, you will eventually become far less gassy than you were before the dietary increase in living raw foods. Aside from super salads, another easy way to begin incorporating more raw foods into your diet is by drinking freshly made green smoothies. There are certain meals and snacks that – though they may seem strange at first – enhance wellness and improve body composition. Unsweetened cultured coconut milk – a type of non-dairy yogurt – is an effective way to infuse the body with beneficial probiotics and healthy fats (add a few berries and cinnamon and you’ve got a nourishing breakfast that’s grain-free) that can improve body composition. I encourage you to eat whatever you want. Life is for living, so I say: do what brings you joy. Speaking personally, I like to experiment – to see if particular changes in diet, exercise or lifestyle can help me to feel better. 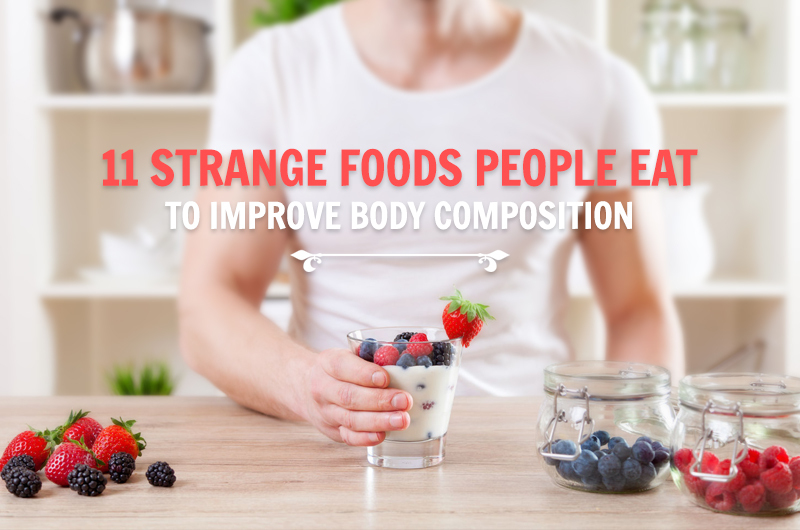 Even if it means eating strange foods that I might not have considered previously, especially if these foods might improve my body composition. Strange foods only seem peculiar because we’re unfamiliar with them. All of those many years that I lived with a sweet tooth – eating a high-carb/ low-fat diet – caught up to me, and I began to feel poorly as my body composition worsened. In this case, my percentage of body fat increased beyond levels that I considered healthy. Eventually, I realized that in order to feel fantastic and improve my body composition, nutritional upgrades would be the wisest course of action. If you told me back when I was a young fellow that I would be eating the strange foods I do today at age 52, I might not have believed you. In my case, eating this way now has me feeling better than I have in decades. Body composition typically refers to the ratio of fat to muscle within someone’s body. From a dietary perspective, this ratio tends to be optimized when someone consumes just enough complex carbohydrates to fuel their workouts, just enough protein to help muscle cells repair and recover, and an abundance of healthy fats to provide ketone calories and improve the luster of skin and hair. I’m not suggesting that you – or anyone – eat exactly the way that I eat. I get asked a lot about my diet and my daily lifestyle, so this article is my current answer to those questions. Below, you’ll find more specific examples of what I eat on a typical day and the reasons that I eat that way. Body composition is a term that indicates leanness – the proportion of fat and fat-free (bone, water, and muscle) mass in a human body. Ideal ratios typically include a lower percentage of fat cells (but not too low). Many health professionals use body composition to measure a person’s overall health and fitness level. As long as you experiment with an upbeat attitude of curiosity (shame-free, and with a sense of humor), it can actually be a lot of fun discovering exactly how your body is nourished and what protocols it responds to most positively. No Cow Bar (blueberry or lemon) or 22-Days Bar (salted caramel). I cycle on-and-off of supplements. There is no supplement that I take every day of the year. and I get my bed ready with earplugs, a white-noise fan, a black eye-mask, and soundproof headphones. twice a week I have strategic sport recovery supplements on heavy workout days – trace minerals, sea salt, beet extract, amino acids, synthetic ketones, etc. (no whey protein, though). periodically when I’m between meals I sometimes have a large tablespoon of olive oil/avocado oil/MCT oil – together with a digestive enzyme – to give my brain calories to burn and achieve trace-level ketosis – until my next meal. I was motivated to try eating this way because of autoimmune challenges. I work closely with a medical doctor, a dermatologist, and a naturopath; I think of them as my Wellness Team. They know all about my strange foods. my favorite nutritional supplement companies, at the moment, are Standard Process (SP), NewChapter, Biotics, and Jarrow. I try to find animal protein that is grass-fed/free-range, whenever possible and when the budget allows for it. If I have two smoothies in the same day, I change the ingredients for each. Sometimes I add a bit of fresh lime juice, or a small chunk of frozen banana, or avocado or some berries. For vegetables, I might add kale, spinach, chard, watercress, parsley… all kinds of vegetables. when I’m cheating, I’ll have vegan dark chocolate (stevia-sweetened, usually) or macadamia nuts. Not all foods are everyday foods. Some foods are every-other-day foods. Some strange foods are just for the rare occasion. 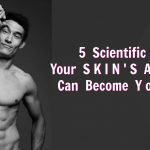 What foods you can have every day without developing a sensitivity to them probably depends, ultimately, on your own unique body chemistry. It’s a good idea to keep a close eye on how many flour or grain products you consume each day, the quality of those products, and how they impact your body composition. My own life experience has taught me that eating too many poorly prepared, low-quality grains will create belly fat and a puffy face. glycation is when sugar begins to impact the tissues inside your body in a negative way. In my opinion, most flours and grains contain enzyme-blockers and lectins that disrupt our own body’s digestive enzymes. Over time, our bodies can respond to these lectins as if they are toxic proteins and so will pad our midsections with visceral fat in an attempt to protect our vital organs from toxicity. Flour is made from grains. Grains are carbohydrates that will convert to sugar inside your body. Your body probably has had too much sugar already. We need carbohydrates to live and thrive, but too many carbs (such as those currently found in the standard American diet) can be problematic. How Many Grains Are You Consuming Each Week? I used to consume too many grains. Chronic inflammation is the root cause of most diseases, and many people find that dairy, sugar, processed grains and refined flours – though they can taste good in the moment – have negative after-effects. Though our modern culture doesn’t consider grains to be among its list of strange foods, when you look a the timeline of human history you will discover that carbs in these extremely high amounts are strange indeed and have only become commonplace recently. most people underestimate how sedentary they are and how many calories they consume. The only way to really know how you’re actually doing on your self-care protocols is to – once in a while – pay close attention to what you eat, drink, and how you move, and then carefully track it. Once you know the choices you’re actually making on a standard day, you can begin experimenting with improvements. For my own body, I experience positive results by having a daily diet that consists mostly of fresh vegetables. To a smaller degree, I also consume fruit, sweet potato, and lean meats. I now believe that how much animal protein a person has or doesn’t have, can depend on the unique chemistry of her body and her activity level (some people thrive on a vegan diet, while others thrive on a paleo-style diet). Also, a diet can be modified based on where in the life cycle one is. A particular style of eating that might work well at age 27 might not work so well at age 57 (I’ve noticed that active children can often get by with more flour and dairy products in their daily diets without negative consequences). While I believe each person must find their own way and discover for themselves what strange foods are the most helpful, it’s safe to state that – generally – the more anti-inflammatory a diet is, the better one’s health will be. Over the last year, I have lost 18 pounds. Much of that has been fat-cell weight loss. Once I reach 25 pounds of weight loss, I will add back more calories to my daily menu so I don’t lose any more weight. I expect adding an extra serving of clean animal protein during the day will probably help me to maintain my weight and muscle-tissue ratio at healthy levels from that point forward. Have you ever experimented with transforming your own body composition? How would you change your own body composition – reduce fat cells, increase muscle tissue, or a combination of both? It’s a true accomplishment to start your day with vegetables, and a green smoothie makes that deliciously possible. Green smoothies may be among the best eating hacks. Ingredients for a green smoothie include nuts and seeds, green vegetables, a little fruit, and ice. Surprise ingredient in today’s green smoothie, the fresh juice of Kamut grass (a version of wheatgrass). The trick to making grass juice enjoyable is adding fresh lemon juice and celery juice. Today, I added grass juice to my green smoothie, but more often I prefer to knock it back straight – like a shot of whiskey. (Hah!) For me, increasing my weekly vegetable intake has improved my body composition. When made properly, a green smoothie tastes good and sustains you with quality energy throughout your morning. Get yourself an excellent blender and discover the energizing effects of freshly made green smoothies. Your first few shakes might be a near-disaster, but with a little patience (and a sense of adventure) you can make the best green smoothies ever. Ever wondered why certain fast foods and processed foods taste so good? These enhancers are added under misleading names that sound harmless and are in almost all packaged foods – with names like textured vegetable protein, sodium caseinate, spices, and carrageen. An anti-inflammatory diet seeks to reduce the number of chemical additives consumed in food. Food additives are compounds that companies add to food products in order to enhance their flavor, color, or to prevent them from spoiling. Dr. Blaylock calls these chemicals that are added to many modern food products “excitotoxins” because they cause certain brain cells to get excited and begin to fire off signals rapidly. The brain cells can be so active that they become exhausted and die off, leading to the neurodegenerative diseases. It’s important to understand that canned foods have lower nutritional value than fresh food and that there are potential issues from the plastic liners used in cans and the chemicals that they might leak into the food. Today we see an abundance of children with attention deficit disorders, autism, mood disorders and mental illnesses. Practitioners have seen children with seizure disorders that when taken off processed foods and fed Essential Fatty Acids (EFAs) and organic homemade baby food had a disappearance of their seizures. 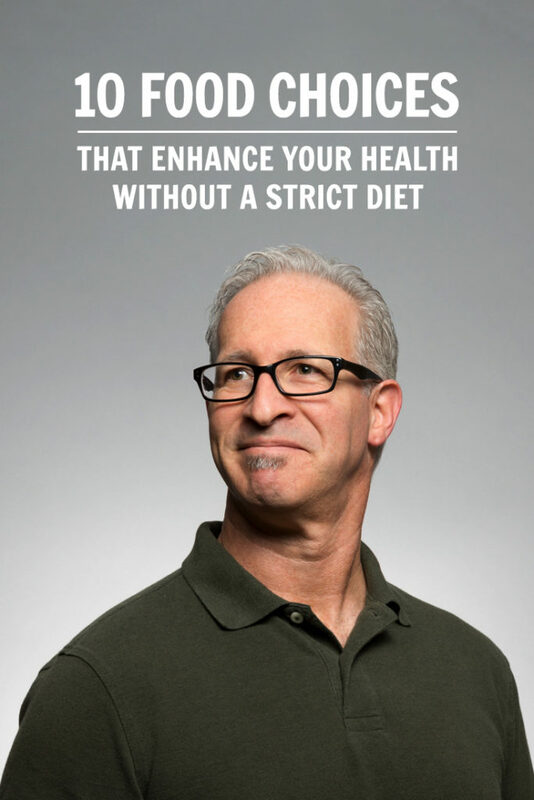 Jim Harris was a medical doctor and oral surgeon in Canada before he relocated to the US to start a naturopathic practice to help people increase wellness while preventing disease. Dr. Harris asserted that infant formulas and toddler processed-foods can be loaded with flavor enhancers which may be harmful to the developing brains of children. When modern humans eat an inflammatory diet and live a sedentary lifestyle, they habitually wake up with a puffy face and slouchy posture and – gradually – their body’s cellular health begins to degrade. Fortunately, there are simple lifestyle choices that do the opposite – they help us to appear lean, strong, and energized. If you “stack” enough self-care protocols into your average day, the end result is that you will probably live more joyfully. At the same time, you will also be modeling self-care for the people you most love – you’ll be showing them by example the benefits of valuing one’s own health. “Legacy is even more important to me than longevity,” a friend of mine said recently. The positive difference that we make in the world is more important than how long we happen to live. Fortunately, the two are not mutually exclusive. Though perhaps not its primary purpose, an anti-inflammatory lifestyle can lengthen life expectancy while also improving skin’s appearance. The shrinking of fat cells is another common – and often welcomed – side-effect of an anti-inflammatory diet. 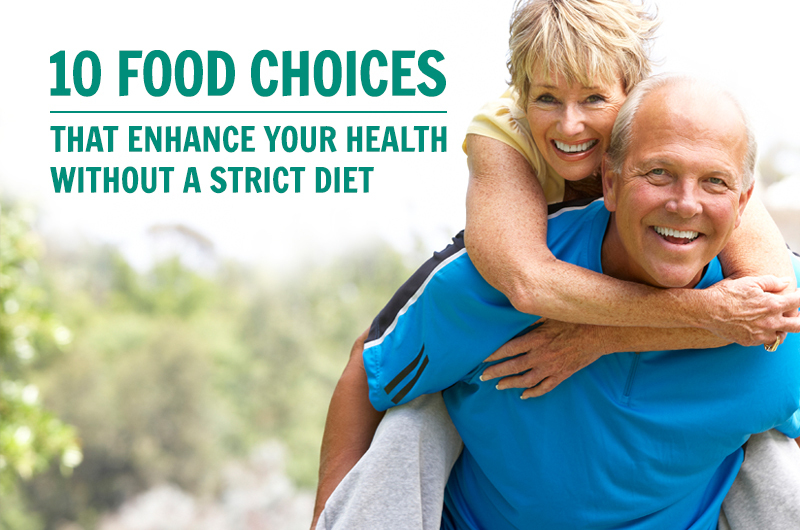 Making the best food-related choices now can help us avoid having to eat a strict diet later.